Yates, D. (2012), ‘Archaeological Practice and Political Change: Transitions and Transformations in the Use of the Past in Nationalist, Neoliberal and Indigenous Bolivia’, PhD Dissertation, University of Cambridge. In this study I will explore how major governmental changes in Bolivia affected both archaeological practice and the socio-political use of archaeological resources. Spanning the years between 1979 and 2010, and contextualised by a complete analysis of archaeological law passed since 1906, this dissertation will present a broad discussion of changes within Bolivian archaeology and politics and will follow targeted aspects of archaeological practice and governmental use of the past during several distinct periods in Bolivia’s history. Through this, I will clarify how changes in the national politics of Bolivia have affected the use of archaeological resources by governments, citizens and descendant groups. I will also identify how these political shifts have affected archaeological practice. A significant body of scholarship over the past few decades has been devoted to the role of archaeology in politics and the role of politics, particularly identity politics, in archaeology. We have come to understand that the collective or competing motivations of nations and states, of Indigenous people and descendant communities, of imperialist powers and international organizations, and of archaeologists themselves have an impact on how the past is studied, interpreted and used by people in the present. We archaeologists have no choice but to work within existing power systems. Indeed, if we wish to continue practicing archaeology as it has come to be defined, we must continue to clarify our role in this struggle for personal, national and political rights to the past. Despite this large body of recent work and the need for archaeologists to relate properly to the environment in which we practice, the landscape is complex and still largely ill defined: timely investigations of unique or significant case studies are needed. Furthermore, any significant change in the balance of power with respect to control of the past warrants academic investigation, not only because of ethical and theoretical concerns, but because such a shift may have an immediate and severe effect on practical and logistical aspects of the practice of archaeology. A shift in the balance of power has recently happened in Bolivia and we now have a new piece of the puzzle to work with. An Indigenous-led government has gained control and is interpreting concepts of the past in its own way for its own purposes. 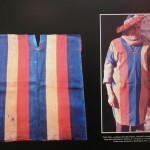 While there is a long history of scholarly inquiry into the ways in which archaeology and the past have been used and interpreted by political states, and there has been significant discussion of how archaeology has been used by Indigenous groups, little has been written about the archaeological consequences of Indigenous groups gaining actual control over their political environment. In Bolivia an Indigenous-focused government has gained control over the state, giving us a rare glimpse at the confluence of state, national, nationalistic and Indigenous archaeologies. The dust has yet to settle and Bolivia remains a state in transition. However, the question of how changes in the national politics of such a dynamic country as Bolivia over the past three decades have affected archaeological practice is not only timely, it is pressing. While the particulars of modern Bolivia may seem unique, archaeologists are working within a world much changed since our discipline was institutionalised and defined. When faced with assertions of state, national or Indigenous ownership of the past, archaeologists have struggled to clarify their own role, their own legitimacy. We encounter more and more situations where the future of our discipline appears uncertain. To understand the complicated forces at work within Bolivian archaeology is to gain a better understanding of archaeology in various countries and political situations.